From the onset of the Worldwide Web in the 1990s to present day, the Internet has diverged in unimaginable ways – and it keeps on changing right before our eyes. 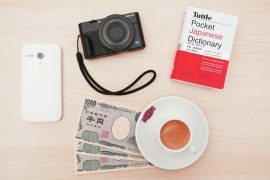 Once dominated by the English language, the Internet is now a multilingual platform with more and more users deciding to search in their native language for products and services. This means translating all the content on your website. It means translating your social media content, your marketing campaigns, your newsletters, and your promotional giveaways. This also means of course, that not only do buyers need to find LSPs that will deliver exceptional work, but LSPs too need to hire the right freelance translators for the job. So how do they do it? 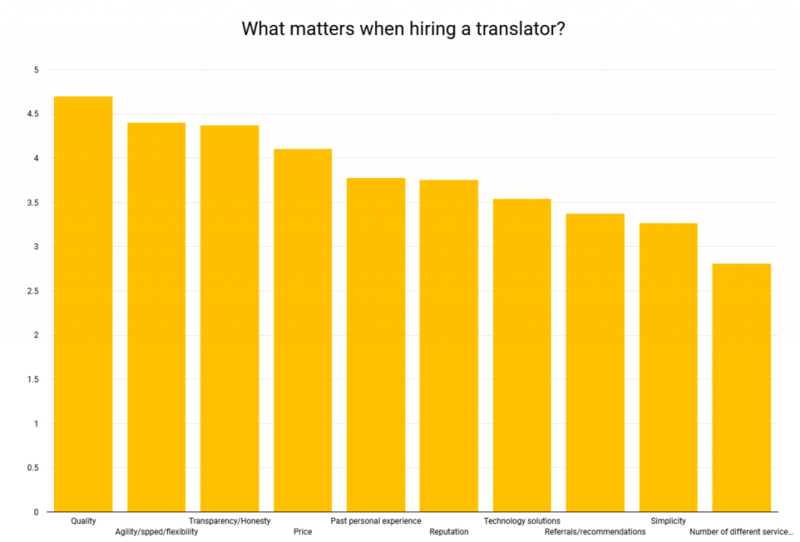 How do LSP project managers decide on what translators or translation companies to hire? You may be shocked at what we found out. As the saying goes, an ounce of prevention is worth a pound of cure, and this is no different when it comes to the world of translation. Ok, so it is no longer the days of Benjamin Franklin, and we aren’t in the business of finding ways to be better prepared for fires, but this saying transcends the ages just the same. Finding skilled, qualified, and experienced freelance translators – translators who are not only native-speaking but who have proven track records – comes up as the most important factor for LSP project managers. High-quality translation services greatly lowers the risk of project complications and increases the likelihood of satisfied customers. Time and time again, LSP project managers emphasize the importance of finding translators who are reliable and punctual. Having to continually follow up with late deliveries comes up pretty high on the annoyance scale and can even cost translators their jobs. Oftentimes, larger projects involve multi-language contracts. If even one translator is late on a project of this magnitude, the entire project is late, placing the LSP project manager in jeopardy of losing the contract altogether. LSP project managers do not necessarily speak the languages they hire translators to translate. This means that transparency and honesty become top shelf when searching for the perfect translation. Directly in line with Factors 1 and 2, when translators say that the work will be delivered on time and with the highest of quality, they need to deliver on time and with the highest of quality. If the deadline set forth at the beginning of the project doesn’t seem reasonable, then project managers expect translators to be upfront and transparent at the onset. Keep in mind – if there is one thing that project managers detest, it is unwelcomed, last-minute surprises. We know. We said the top 3 factors, but with the dollar usually being the driving force in all business transactions, we found it pretty surprising that pricing didn’t even rank in the top 3! This may also shock some of you since many people still have a perception that price is the only thing that matters in the industry. Nonetheless, we still felt that pricing deserved an honorable mention. Some of the factors that were lower on the ranking list but still worth mentioning include a freelance translator’s past, personal experience, reputation, ability to work with technology solutions, referrals and recommendations, simplicity, and ability to provide a number of different services. Although these considerations fell below the top-ranking factors, the vast number of these ranked in the mid to upper 3s on a scale of 1-5. The bottom line is simple – When searching for the best freelance translators, the prime concern on any LSP project manager’s mind is meeting their clients’ needs. This means trusting their supply chain, and that translates to quality, agility, and honesty, with a little green thrown in to the mix.